2 available: left-hand & right-hand. 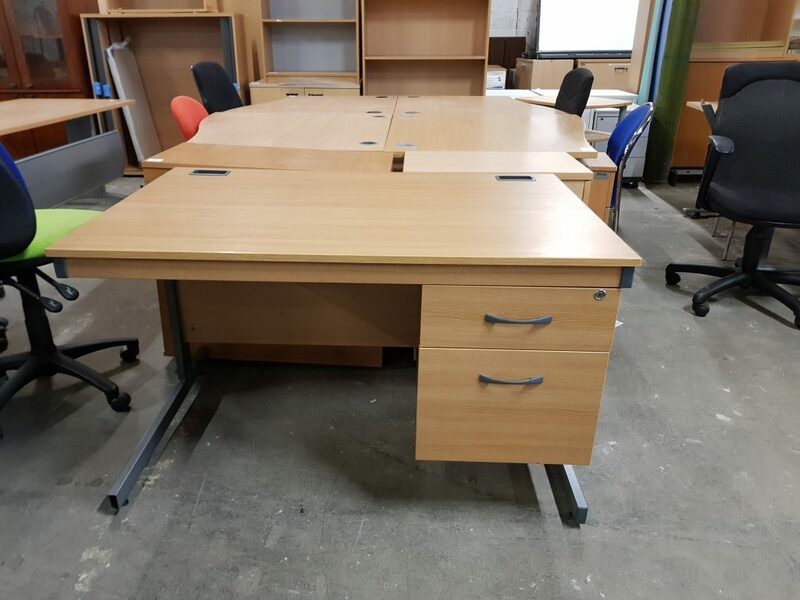 Large corner desk with 3 drawers. 1800mm x 1200mm. Top drawers are lockable. 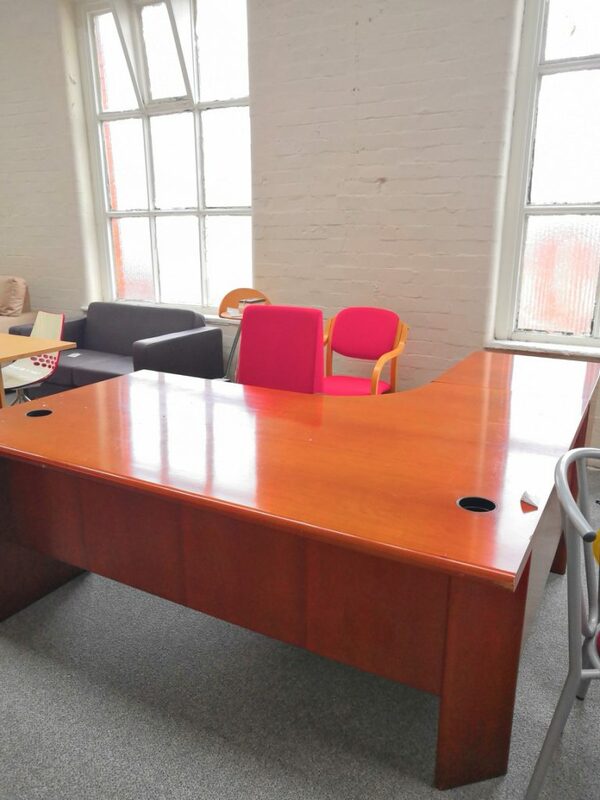 1 available: right-hand light oak executive desk with white modesty panel. 1 available. 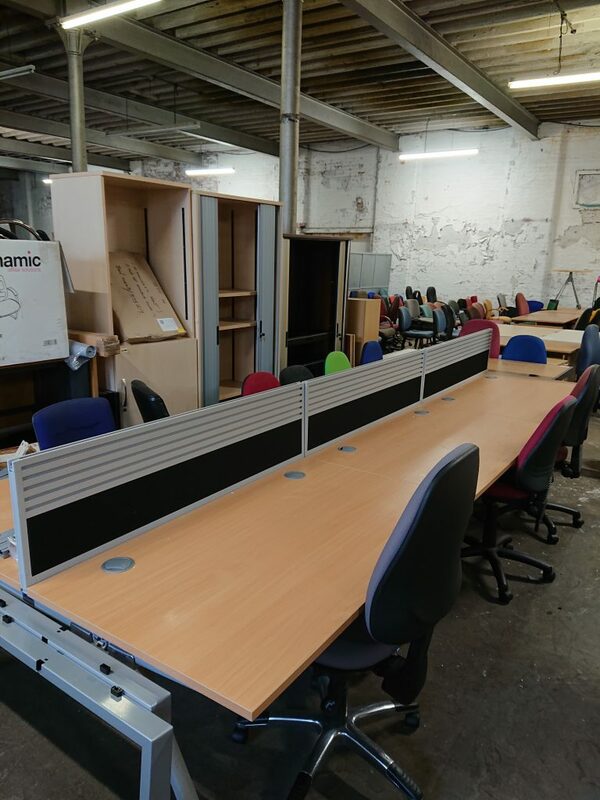 6 rectangular desks 1400mm x 800mm. 4200mm x 1600mm in total. Screens included. 18 left-handed and 18 right-handed available. 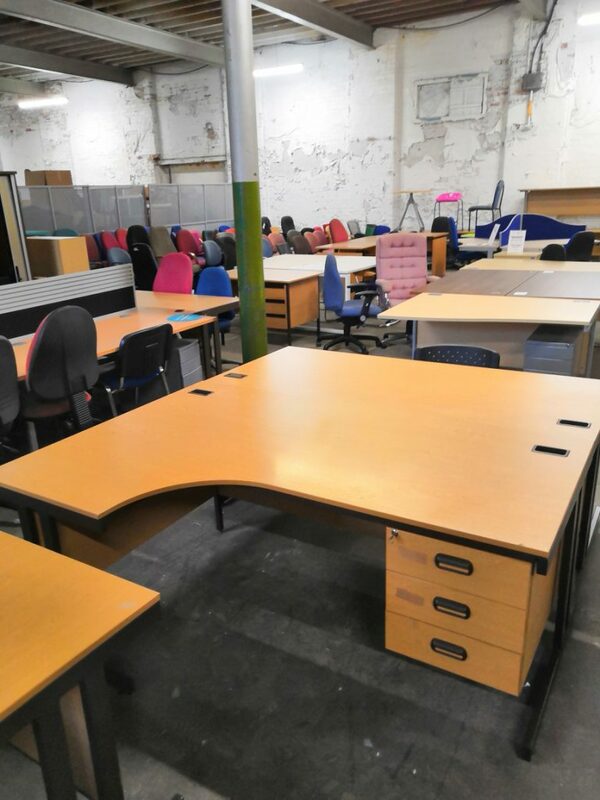 Large Wave Ash desk. 1400mm &1600mm versions. Pedestals included. 14 available. 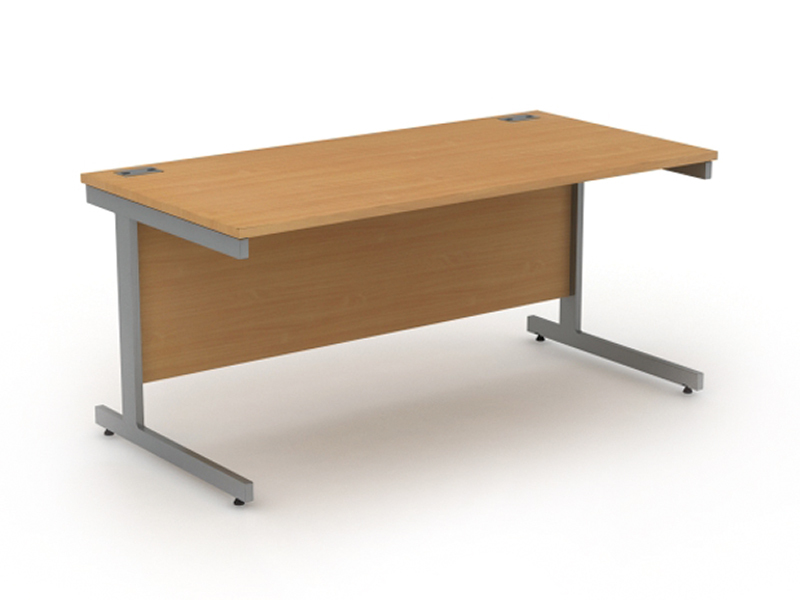 Oak coloured rectangular desk, available in large quantities. 1600mm size. 1 available. 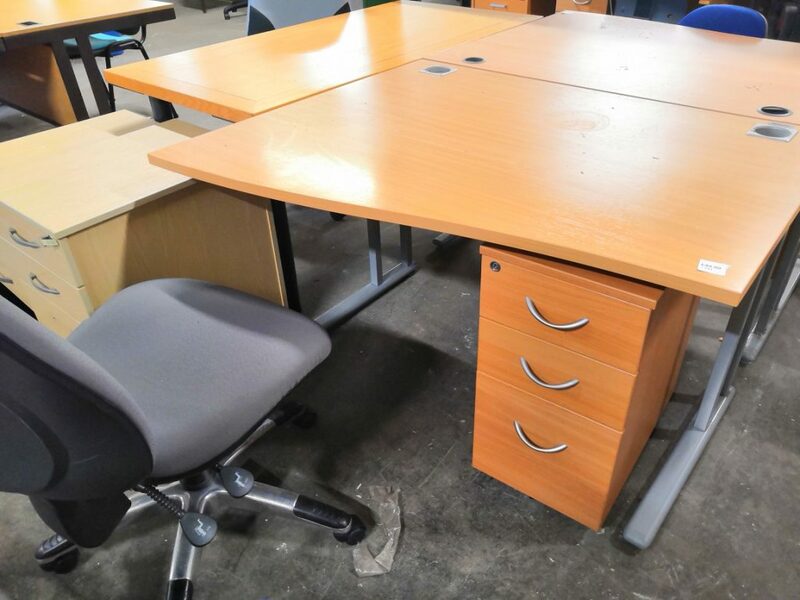 Large mahogany desk with desk height pedestal drawers. Collection only. 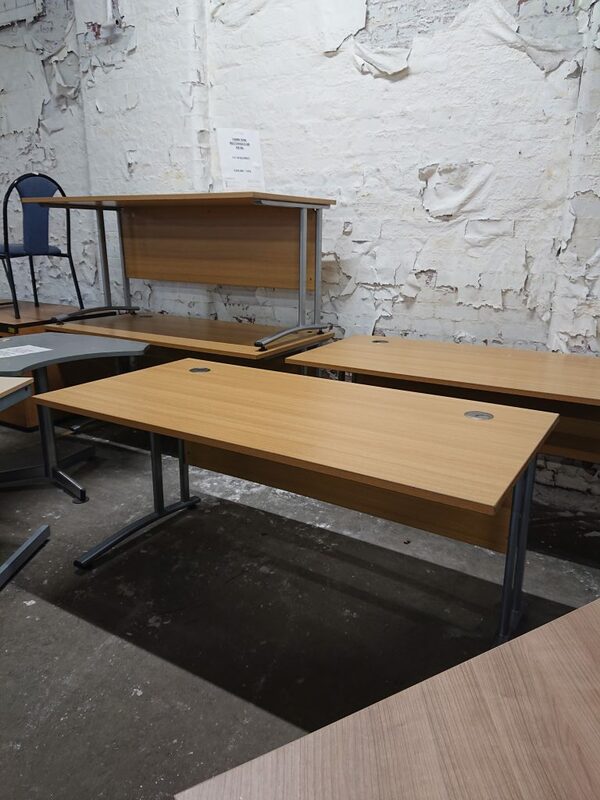 7 Available: Light oak desks on a grey cantilever frame with fixed 2 drawer pedestal. 1200w x 800d x 725h. 6 available: left-hand & right-hand. 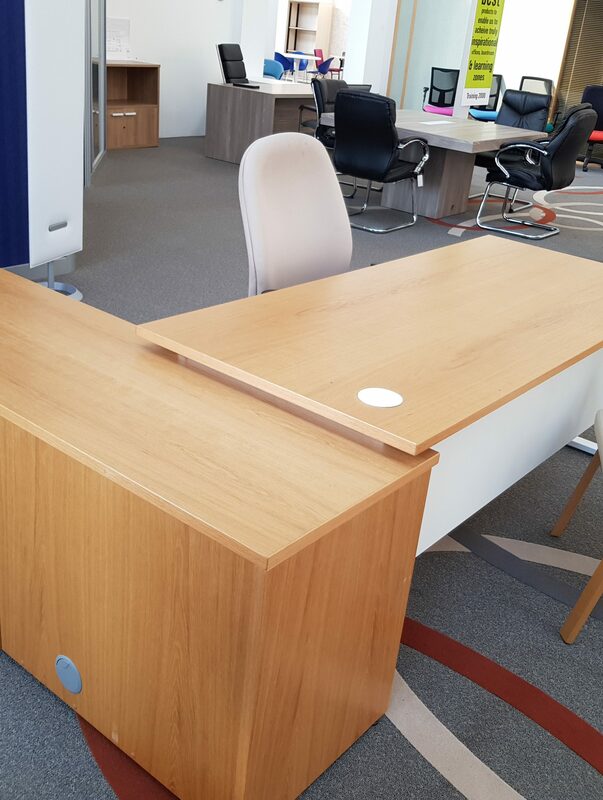 Small beech wave desk. 1200mm x 1000mm. Pedestals included. 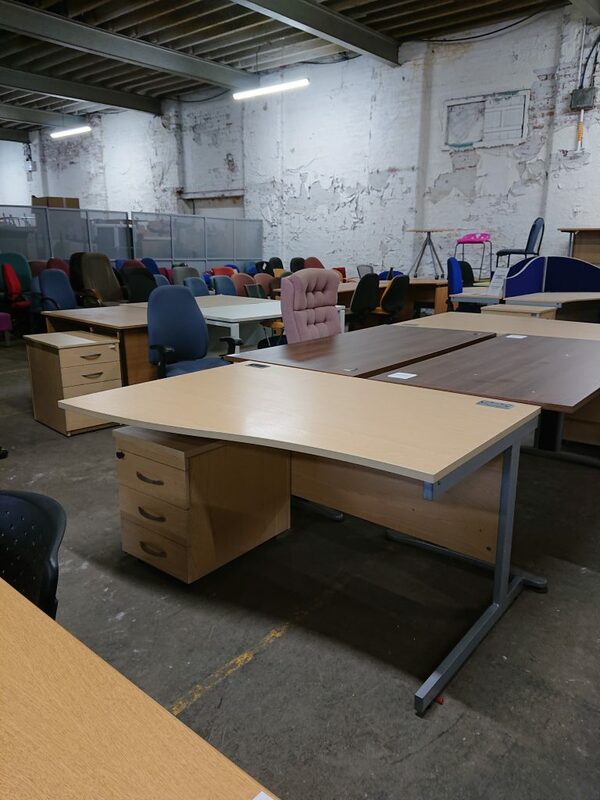 4 Available: Light oak rectangular desk on grey cantilever frame. 1200w x 800d x 725h.